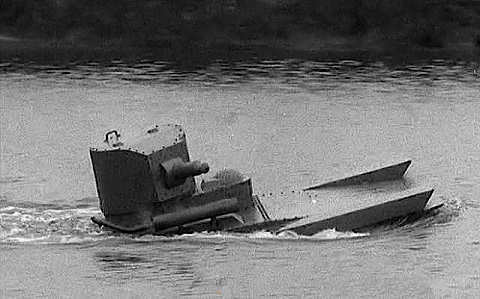 Early experiments with amphibious vehicles were performed using the Mk IX tank of 1919 and Medium D variants in 1921. 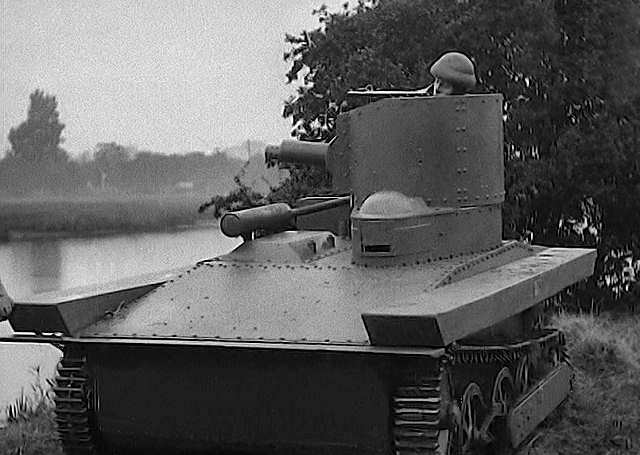 Later, in 1930-31, the A4 amphibious light tanks were produced. Armament in each case was a 0.303" Vickers MG. The engine was a 100 h.p.Meadows 6 cylinder with propulsion in the water by propeller in a swivelling shroud. 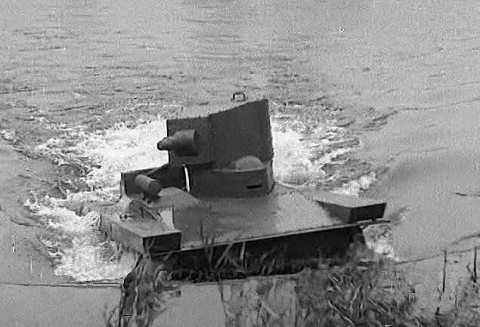 The two prototype Vickers Armstrong vehicles, A4E11 and A4E12 achieved buoyancy by being so lightly armoured they were almost sofstskin vehicles. Neither were adopted by the British Army, although both saw extensive service as trials vehicles. the two vehicles were very similar as can be seen from the photographs. A further attempt at producing an amhibious tank was made in 1939 with the L1E3, this time using a Meadows 6 cylinder 85 h.p. engine. The armament was a 0.303" or 0.5" MG. This tank had kapok filled external sponsons to achieve flotation. Again the vehicle was only very lightly armoured and was never adopted for service. The only prototype is on display at Bovington.